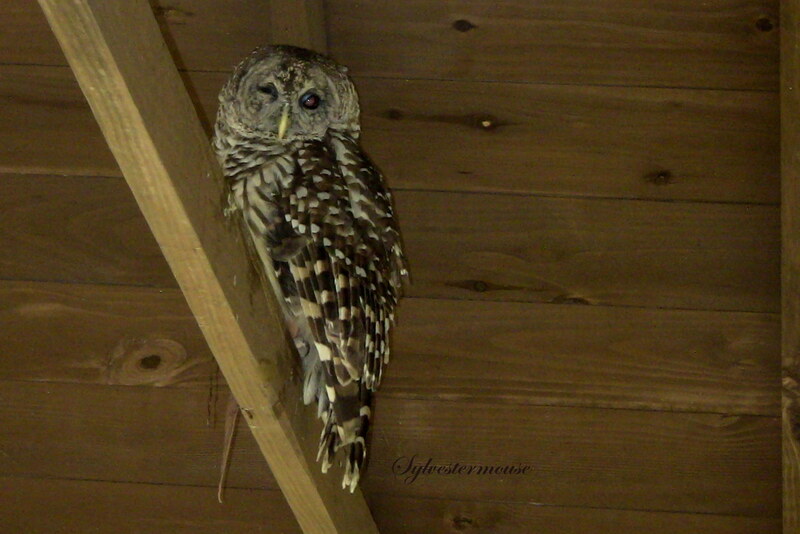 This beautiful Barred Owl may look like he is winking at you, but in fact, he is blind in one eye. Fortunately for him, the rangers at Chickasaw State Park found the injured owl. They saved his life by taking him under their “protective wing”. He now resides in a protected outdoor enclosure on the park premises.